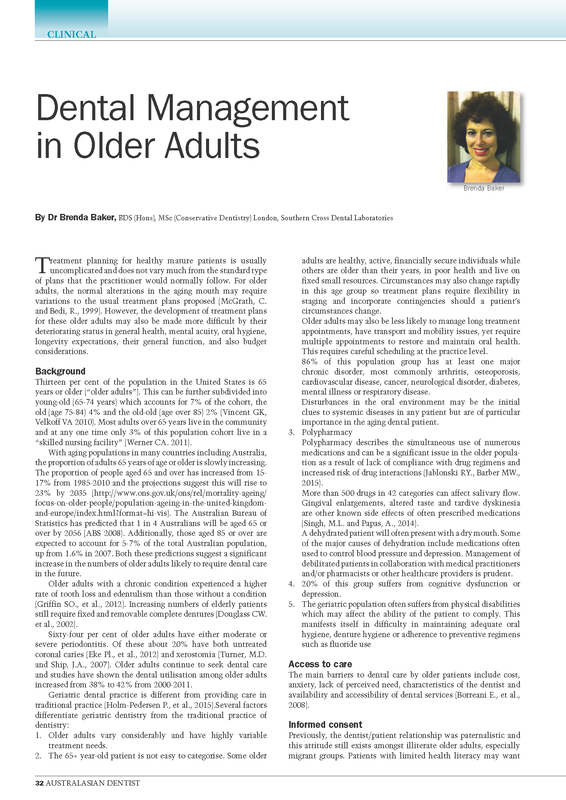 For older adults, the normal alterations in the aging mouth may require variations to the usual treatment plans proposed (McGrath, C. and Bedi, R., 1999). 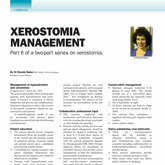 This article features the decision making, fundamentals and the models of treatment planning for older adults. 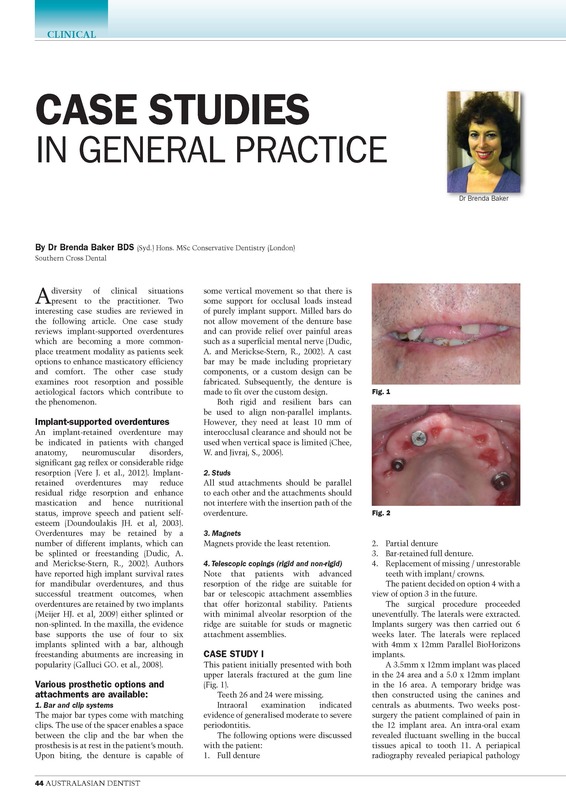 A diversity of clinical situations present to the practitioner. 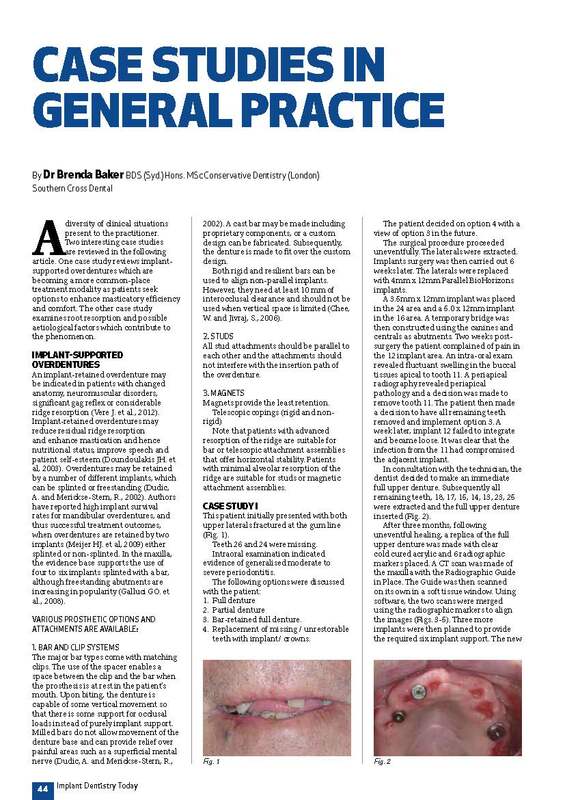 Two interesting case studies are reviewed in the following article. Dental implants offer an effective and predictable way to replace teeth. Function, aesthetics and phonetics are regained. The long-term success clinically and aesthetically depends upon the appreciation and management of the peri-implant tissues. 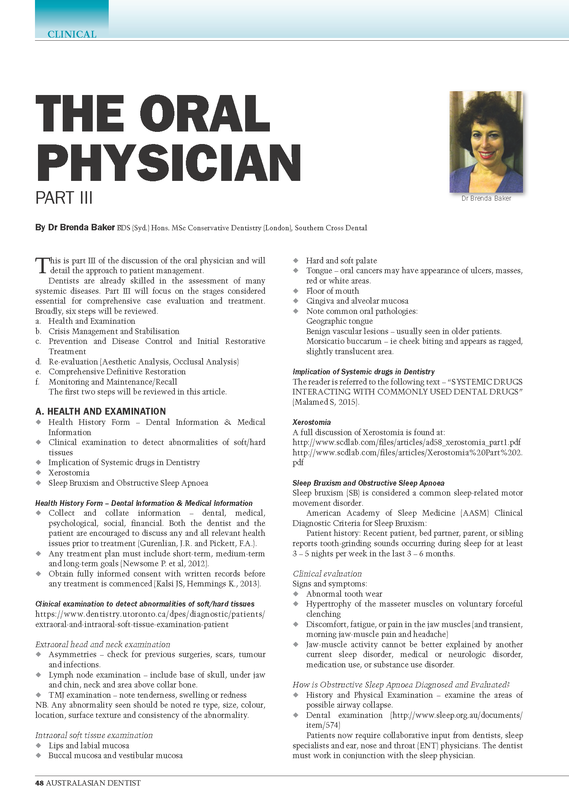 This is part III of the discussion of the oral physician and will detail the approach to patient management. 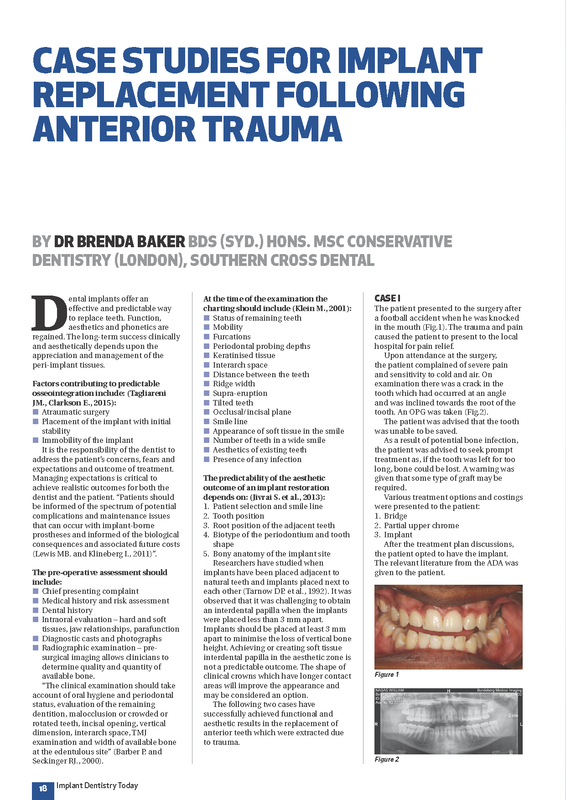 Dentists are already skilled in the assessment of many systemic diseases. Part III will focus on the stages considered essential for comprehensive case evaluation and treatment. 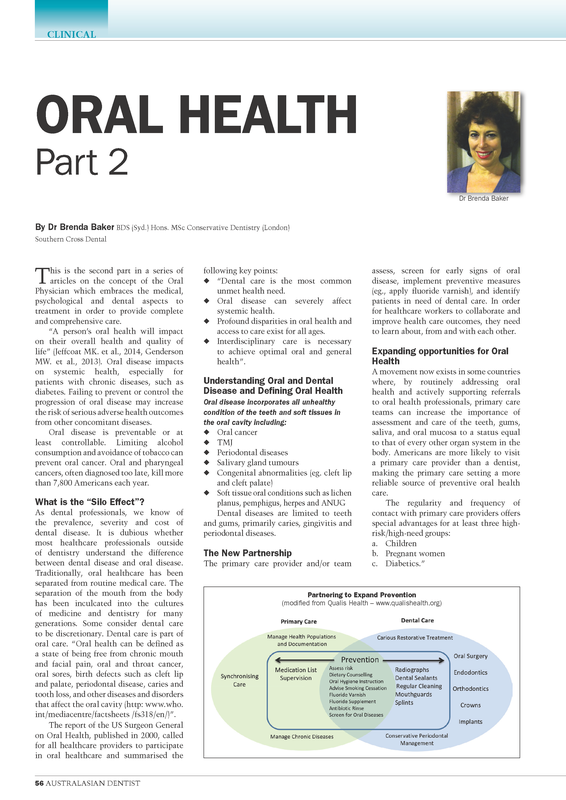 This is the second part in a series of articles on the concept of the Oral Physician which embraces the medical, psychological and dental aspects to treatment in order to provide complete and comprehensive care. 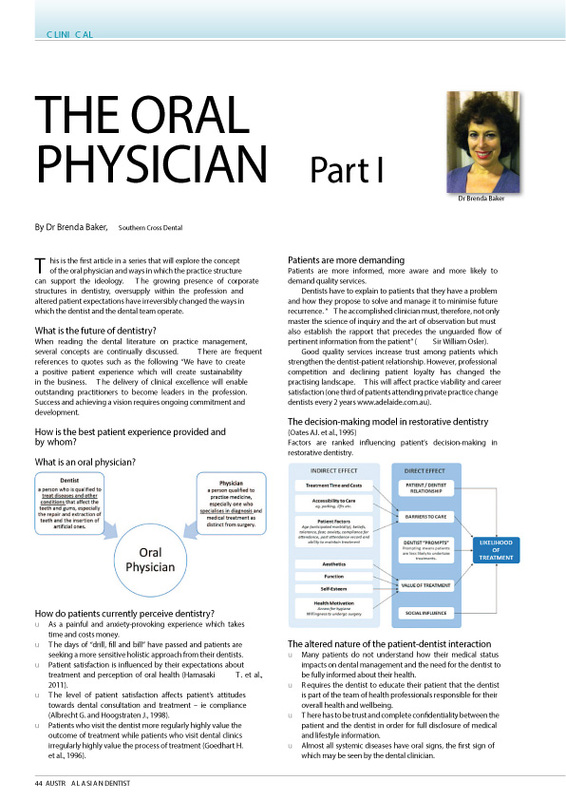 This is the first article in a series that will explore the concept of the oral physician and ways in which the practice structure can support the ideology. 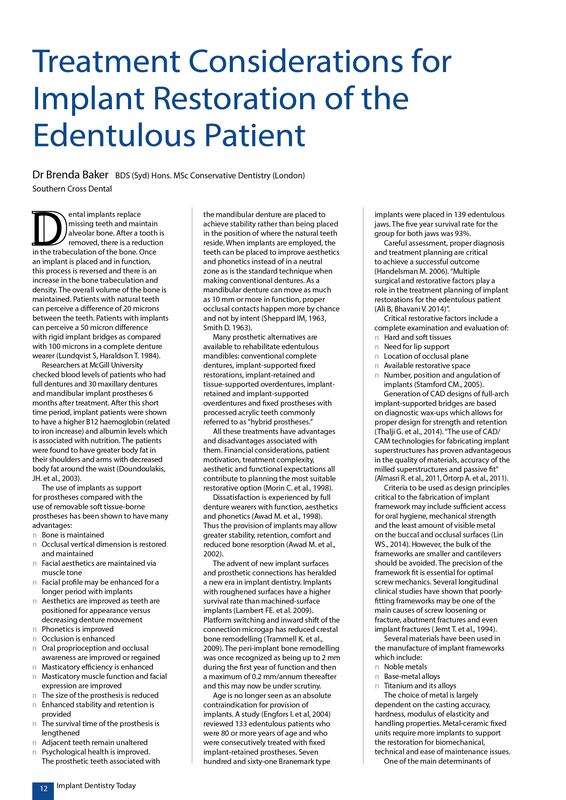 The growing presence of corporate structures in dentistry, oversupply within the profession and altered patient expectations have irreversibly changed the ways in which the dentist and the dental team operate. 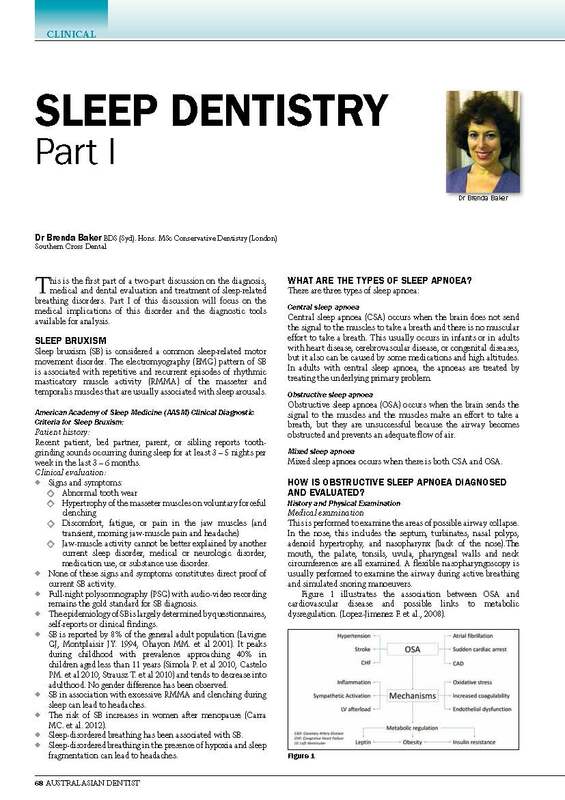 This is the second part of a two-part discussion on the diagnosis, medical and dental evaluation and treatment of sleep-related breathing disorders. 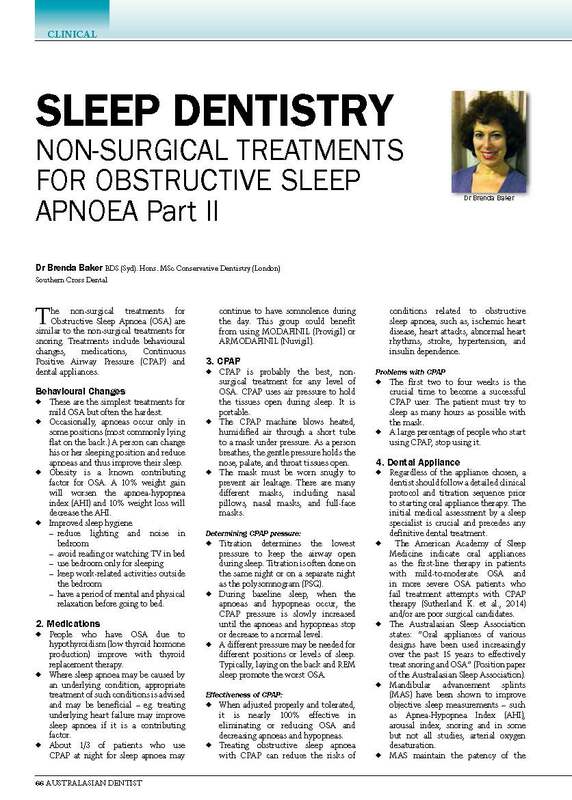 Part 2 of this discussion will focus non surgical treatments for obstructive sleep apnoea. This is the first part of a two-part discussion on the diagnosis, medical and dental evaluation and treatment of sleep-related breathing disorders. Part I of this discussion will focus on the medical implications of this disorder and the diagnostic tools available for analysis. 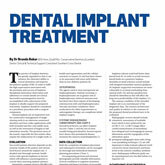 Dental implants replace missing teeth and maintain alveolar bone. After a tooth is removed, there is a reduction in the trabeculation of the bone. Once an implant is placed and in function,this process is reversed and there is an increase in the bone trabeculation and density. 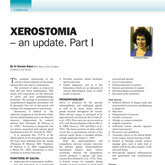 The general philosophy when looking after patients with hyposalivation and xeros­tomia is focused at treatment to relieve symptoms and prevent oral complications. 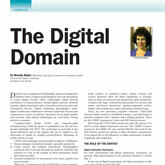 Dentistry uses computerised radiographs, practice management software with computerised databases and scan documents to create digital records. Other technologies which provide information to clinical practice include digital cameras, intraoral cameras, digital impression units, caries detection units and tooth colorimetric devices. The practice of implant dentistry has greatly expanded so that it can enhance the clinician’s ability to restore dentitions and improve the patient’s quality of life. 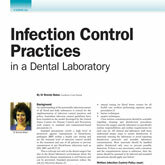 An understanding of the potentially infectious nature of all blood and body substances is critical for the implementation of infection control practices and policy. The advent of the internet has caused an explosion in the ability to access knowledge. There is so much information available that both clinicians and ever more frequently patients who google are overwhelmed by available resource.